We typically refer to LDL cholesterol as "bad" cholesterol. In general, you want your LDL levels to be low. Many doctors will even recommend cholesterol-lowering drugs, such as statins, if you have high levels. But interesting new research found that low levels of LDL cholesterol may actually be a sign that your health is in danger. Previous research has found that having low levels of LDL cholesterol decreases your risk of heart disease. That's why we want you to keep levels low. But scientists have also found a link between low LDL levels in individuals who have not taken statins to reduce their LDLs and an increase in cancer risk. Paul Michael Lavigne and his team at Tufts Medical Center presented this information at the American College of Cardiology's 61st Annual Scientific Session. For their study, they compared 201 people with cancer to 402 people without. None of the participants had ever used drugs to lower their cholesterol. They matched their cases up according to age, gender, diabetes, tobacco use, blood pressure, and BMI. They then reviewed the cases and found that the subjects who developed cancer had much lower levels of LDL compared to their cancer-free equivalents. And this was true for an average of 18.7 years prior to their diagnosis and remained consistent throughout the study. 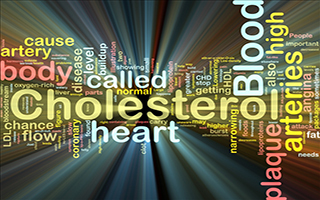 Even when the researchers controlled for HDL (good) cholesterol levels, the findings didn't change. So does this mean you should immediately stop taking your medications and begin loading your diet with saturated fat? Not at all! Dr. Lavigne is quick to point out that correlation is not the same as causation: "There is no evidence to indicate that lowering your cholesterol with a medication in any way predisposes [you] to a risk for cancer. We suspect there may be some underlying mechanism affecting both cancer and low LDL cholesterol, but we can only say definitively that the relationship between the two exists for many years prior to cancer diagnosis, and therefore underscores the need for further examination." If you do have low levels of LDL, don't panic. You're likely making healthy choices, and you can rest assured that you're helping to lower your risk for heart disease. Recommended screenings, exercise, eating healthfully, and getting enough sleep, are great preventative measures if you have had considerably low LDLs for your lifetime. If you do have high cholesterol, consider changing up your diet to include increased green vegetables and low glycemic fruits, such as berries. Many of my patients recently report using the plant-based Advanced Bionutritionals Mediterranean Cholesterol Formula to safely lower their cholesterol.